Acceptance is a challenge. So many things that I experience with myself and the world around me don’t fit what I want or like. My mother doesn’t love me the way I want. My boss doesn’t appreciate my work. The airline is unfair because they overbooked the flight I was on. The driver behind me is a jerk because they are following me too closely. You know the litany of things that you don’t like and have judgements about. If you are like me, the dialogue is continuous and the outcome is mostly the same – you’re frustrated the other person / entity doesn’t really care about what matters to you! I end up feeling everything from mild irritation to outright anger. The reaction is automatic and I really don’t want to continue down this road. So what can I do? As I write this, I’m looking at a small block of wood that sits on my desk. Painted on this block are the words, “IT IS WHAT IT IS”. Simple and insightful, this sentence is key to untangling my long history of judgment and disappointment. At the bottom of my frustration is not accepting things are they truly are. Not easy, I know. If a friend says they will do something for me and they don’t, I don’t like it. Part of my reaction is irritation with them for not doing what they say, and another part of the reaction is my frustration with myself for also exhibiting this behavior (sometimes I don’t want to see that!). In the end, my reaction (not my actions, which I will talk about in a minute) isn’t at all helpful. My reaction blocks my ability to understand the situation clearly. Which means that whatever response I have will not be the best response. Also there is often a residue of the experience that resurfaces later, as if the situation happened just a few minutes before. My reactions don’t change what has happened. The company I ordered a product from shipped it late. The restaurant I was at last night served food that wasn’t up to par. The company I want service from has a seemingly impossible “phone tree” making it damn near impossible to talk to a human. Whatever I feel, these things happened. It’s more productive to remember, IT IS WHAT IT IS. In the simplicity of this understanding make a decision on what I deliberately choose to do now. Mostly my decision is, “there is nothing to do”. There are times, though, when I might feel I should speak to someone about the impact their decision or actions has on me. Not because I’m angry, but because my relationship with that person is important enough for me to invest in the uncomfortable conversation we are likely to have. At other times, I can take action that means I choose to not do business with a company or I choose to, as one of my teachers said, “Love from afar” a friend. When these choices are deliberate and without any judgement, they can be meaningful to me and sometimes to others. How I know they are the right choice is that I feel at peace, and the reaction I had with the situation doesn’t arise again. Life is filled with reactiveness. Seems like a good thing to whittle it away a bit at a time. One of my biggest challenges is a dance with anger or its father, irritation. When I look outside myself and see what I don’t like, I feel an irritation. When I ask someone to do something that I want and they don’t, I feel irritation that often bubbles quickly into anger. When something I expect to happen doesn’t. I am annoyed. This morning, I was thinking about the limitation of irritation in my life. As I did, the Rumi saying above appeared. Reflecting, I realized irritation was a way for me to strike back at my discomfort. I want to bend whatever is bothering me to my will. This reaction has been part of my life experience so long it is automatic. Rumi’s words remind me of a quality that I admire in others who plumb the depths of their fields of endeavor. I was reading a story about Maryam Mirzakhani, the first woman to win the math world’s most prestigious award, the Fields Medal. This story explored her life and passion for math. She approached each unknown as a world to be discovered. She entered these journeys of discovery knowing that when it was complete her understanding of the problem she was considering would be far different than when she began and it excited her. The unbridled commitment to exploration without holding on a fixed outcome is my opportunity as well. I can enter a committed exploration of what is at the root of my irritation with a knowing that my discoveries will enlighten and perhaps surprise me. What is absolutely true is that my “status quo” will be disturbed and that is always uncomfortable and good. There was a moment when I realized that the end of my life was getting closer. I’m not afraid of dying or that the time is shorter than I realized. It’s just sobering to know, with absolute certainty, the end of coming at full speed. I look around and wonder, what would I be doing right now if say, I found out I have 3 months to live. Of course, I would be acting differently than I do today. I would make sure I said goodbye to my children and wife. I would seek out friends and teachers and thank them for all the gifts they shared. Each morning would be a gift that I would appreciate for its preciousness. Each interaction would be treasured because it could be my last with that person. An interesting question, I have is, “so what keeps me from having this experience of preciousness right now?” Is there some special signal I’m waiting for, like a doctor’s prognosis, before I treat my day as a gift? The answer I have is hilarious. I’m afraid to change my status quo if I don’t have to. While I’m living without the fullness of being present in each moment, I’m choosing to be stuck until a stick of dynamite is lite and the fuse is burning quickly down. I write this note because one of my great joys is writing. I love to write, as I am here, from my heart. Write because I feel alive when I do. Write, because it is who I am. So without the death sentence being presented by someone else, I grasp this moment and write. Write for myself and if you find it valuable you as well. Write as if my life depends upon it, because a life of being present does. I will continue to bring my heart and soul to these pages and share that with you. I thought about his request for a few days and said, I was available to see what I could do to help. He said he’d get back to me about a time to start. Two years passed and not another word. A few weeks ago, he raised his hand, so to speak, and said he is now ready to do whatever it takes to get his business where he needs it. We met for coffee. I shared my observations of what was holding him back. He enthusiastically agreed that the observations were “right on” and said, “Let’s get started”. We set up a time to begin and some “homework” for him to do in the interim so our time together would be productive. Today was the day of our first meeting. It didn’t happen. Other priorities arose and he has suggested we meet sometime later. This story is like so many that I encounter. We all want the most out of our lives. We want the best relationships. The most fulfilling work. We desire absolute abundance. Then we experience something that’s less. Why? At the heart of the matter are beliefs that confuse and obscure our way. We think we can’t or should have all we desire. We settle for something that we don’t really want. Then, maybe when the despair of some other pain is unbearable, we say, “Enough”. We are ready to do what it takes to change what we don’t like about our lives. We take a few steps and something distracts us and the cycle continues. I’ve had this type of distraction too. I know what’s up. I have settled. Then there is a spark of difference. Something that appears IMPOSSIBLE happens. I’m reminded that the there are no limitations and I endeavor, right now, to remember that the seemingly impossible is possible and it can be true for everything else in my life. In this aftermath of the 2014 elections, there is so much talk about the reasons for the outcome. I think it’s pretty simple. In 2008, we elected Barak Obama. Those of us that supported his first campaign felt that finally someone was going to make a difference in the way that government works. Finally someone was going to lead the country into a time of greater pulling together. So many promises were made that would support this vision. Starting with President Obama’s victory speech in Griffith Park in Chicago six years ago, the unraveling of this feeling began. He spoke of the difficult road ahead. He talked about how it was going to take us all to make the change happen. This was a new message that was never part of his campaign. We listened and still waited for him to take action to change things we didn’t like. We can look at the severe problems in the economy or the challenges with wars across the globe as underlying factors that inhibited his success, but these issues were known as the 2008 campaign unfolded. Solutions to complex issues are neither easy nor quick. Campaign rhetoric is easy. Turning those promises into reality is hard. Very few have been able to lead in a way that brings us together and allows the greatness within each of us to be called forth. President Obama had that opportunity and he blew it. Which brings us to now. We are disappointed. We want more than we are getting. We are indeed disappointed with Congress and its leadership. That’s a group of people without a single individual for us to focus our frustration on. 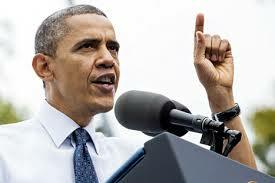 The President on the other hand, is someone we can focus our disappointment on in a very personal way. The Republican party made the best of this feeling and it propelled them to control of both houses of Congress and many state governorships. Now that they are in power, what will the Republican members of Congress do that they didn’t do in the last six years? What will the President do that he hasn’t done in that same timeframe? The opportunity for doing the right thing is always with us. Let’s encourage our national political leaders to focus on doing something positive for us. As I write this, I an not feeling very positive. This morning, one of the darlings of the Republican party, Rand Paul started his day with messages under the Twitter hashtag #hillaryslosers. I know this is politics, but we are tired of this. Remember Mr. Paul, the sentiment of the country can change quickly if you, too, disappoint those who believe in you. As all the hubbub in the media analyzing the congressional primary victory of David Brat over Eric Cantor reaches a crescendo today, I think the reason Brat won is very simple. David Brat didn’t play the game of big media buys and big money. That’s not who he is. He is a college professor in economics who is concerned with the way things are going. He tried to get the attention of the “establishment” and was unsuccessful. So he decided to take some action. Now, he didn’t go raise a bunch of money and hire a top political operative and polling team. He found like-minded folks who agreed with his perspective and they agreed to support him. He did this over and over again. Sure, he had support from a very vocal conservative talk show host. This made sense because his basic positions were ones they supported. The headlines about this campaign victory are misleading. He is not a darling of the Tea Party. They didn’t put their muscle behind him. In fact, they ignored the race. What mattered here was one man who was true to his positions and talked about them every day to those who mattered – the voters. Showing that when we hear something authentic it motivates us to act. (18,000 more voters turned out for this primary than 2 years ago). 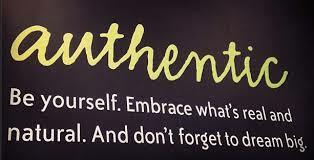 As a leader, this is a good example of the power of authenticity. People know if you are blowing smoke or speaking truthfully. Granted not all the time, but when it really matters, they understand. If there is one leadership trait you choose to guide you, I suggest it’s always be true to yourself and speak to all your constituencies with integrity, NO MATTER WHAT. I keep looking around for the key to unlock so many doors of uncertainty in my life. The more I read the more I find momentary glimmers of light, and then I forget. Today I am returning to one of these glimmers of light to remember once again. One of the lessons of many years of working in the world of technology is the power of design. Too often, I follow the old adage, “Fire, Ready, Aim”. I forget what I learned over forty years ago. The more attention I place on what I am creating up front the better the outcome. Too often I skimp on this vital aspect and spend most of my time “fixing” the things that I could have visualized at the beginning, but in my haste went to work building. This lesson is much more ancient than my lifetime. I have been reading a book written by Thomas Merton about the teachings of an ancient Chinese master, Chuang Tzu. Today’s lesson was the story of the Woodcarver. On trifles, that were not in the point. As a writer, I know that the sign of engagement in this craft is the number of crumpled pages I find around me at the end of the day. 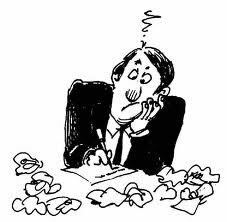 Great writing doesn’t happen by sitting down and writing the perfect paper, short story or novel in the first draft. No matter how gifted you are the first draft is just a beginning. In business the same is true. When someone conceives a new business the first step is often to write a plan of sorts. For some, it’s a complex treatise on the full ins and outs of what’s possible. For others, it can take the form of a dinner napkin with sparse words and a few drawings. Whatever the beginning, the initial concept is version 1.0. No business has ever succeeded by sticking to this first version. Business, like writing, is a constant work in progress. Sometimes you find that only the first line (concept) works and the rest of the words (description of how things work) don’t. As a writer, I often receive feedback from my spouse or friends or other authors. They can often see what’s hidden from my perceptions. In a business, potential investors and early customers let us know what we have right and what doesn’t work. Writers and entrepreneurs aren’t afraid to start over or brutally edit what’s created. They are in a quest for excellence, however they conceive it. This drive forms the core of their passion and guides them to the experience of personal satisfaction. Well, it’s officially spring, at least according to the course of the earth’s orbit around the sun. This time of the year seems to inspire cleaning. For some its their closets and for me it’s life. I know, it’s kind of dramatic, but that’s what’s up. As much as I teach about change, I really don’t like it. It’s kind of like taking medicine that you know is good for you but doesn’t taste very good. So here I am, taking my medicine and not particularly happy about. I find in this process some simple rules help me decide what to keep doing and what to discard. The first rule is I have to enjoy what I’m doing. Getting to the truth about this can be a little tricky. If I’m doing something that I feel is important for what I care about, such as making money for my family, I might “fake” enjoyment. So pay attention and don’t deceive yourself. The second rule is that whatever I do is promoting growth for me. I understand so little of the breadth of the world I inhabit. Each day, I love learning (well at least most of the time). This learning is like the most important food I ingest that keeps me growing in greater awareness. I have pruned away a number of areas of endeavor that don’t measure up to my three rules. When I finally realized that they were out of whack, the decision was actually easy and I wondered what took me so long. 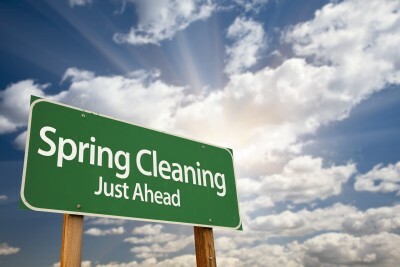 Rather than labor on the last part of that point, I’ll just say, I’m enjoying my spring cleaning and looking forward to summer. Stepping back into writing is sobering. It’s a bit like agreeing to grow up, once again. The adolescent part of Thomas wants to stay in its slumber of bad habits and endless excuses. I know the cost of this numbing behavior and yet, it’s so appealing to be unaccountable for what happens in my life. Oh, that it would be so simple to fall back into the life of letting others carry the weight of the consequences of my decisions. For many reasons, that option is no longer available. There are moments, when this irritates me no end. One of the impacts of knowing that I’m the one who’s really accountable for everything is that I know that I must look in the mirror if I’m looking for an answer to why something isn’t working out the way I want. I was talking with my wife yesterday about how hard we are working. We seem to be following an age-old story that says, “you have to sacrifice today so that you can be rewarded tomorrow.” Sounds like a good path to follow. The problem is there is a flaw in this. I look around and find examples of people who are living as if this isn’t true. They have time for everything that’s important to them. How is this possible? They know the difference between stories/ beliefs and truth. They know that perceptions create reality and if their perceptions are filled with limiting beliefs, they will experience feelings of insufficiency. 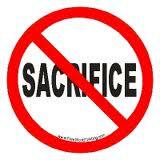 Does that mean that sacrifice is not required? Yep, at least in the way we think about it. Our common understanding of sacrifice is that I give up something important to me by choosing something else that I also feel is important. I began to see the problem with the notion of sacrifice. I am making a choice. This choice opens doors and closes doors. By being guided by the belief that sacrifice is required, I’m immediately hooked into an emotional response rather than accepting an outcome. Yes, I’m make this new choice and the consequence is that something I am currently choosing may no longer be possible. I like writing. In fact, I love writing. I made the choice to start a new business. I didn’t stop and consider the consequence of this choice. I certainly didn’t want to cut myself off from my family so I chose to put my attention and time on this new project and the time I spent in the past for writing “disappears”. My old belief about sacrifice was activated. “Yep”, I said, “not being able to write is simply the way things are.” It’s something i must sacrifice so the project can get going.” Examining this belief, I see how unconscious it is. I rocked along accepting this outcome for months. Finally I “woke up” and realized I was just feeling the limitation of my beliefs. I realized there were other areas of life that were no longer that important to me. So, I made an inventory of how important each of these “choices” was. That’s right, every moment I spend awake or sleeping comes from choosing how to spend my time. Many of these “choices” are not deliberate. Either I’m not aware of what I’m choosing or I don’t ask myself the question, “how important is what I’m doing right now?” I just mosey along in the rut of habit. Through this process, I made some simple decisions and already, as you can see, I’m having different experiences. For one thing, I’m writing again. I also realized that when I honestly look back at my life, I remember times when I wasn’t trapped in believing sacrifice was necessary. Life was a blast! I jumped out of bed in the morning. I zoomed through my day and I fell asleep tired, but not exhausted. I invite you to join me in remembering the truth of choice and consequences.